A planning agenda is created by a company or an organization to make a list of items that need to be accomplished within a specific period of time for a particular process. Effective planning of agendas can help meetings run a lot more smoothly. The objective of creating the agenda is to ensure that the process or event is successfully completed during the execution stages. A good rule of thumb in agenda planning is that meeting time can be used most efficiently by being in sync with people’s natural urges. 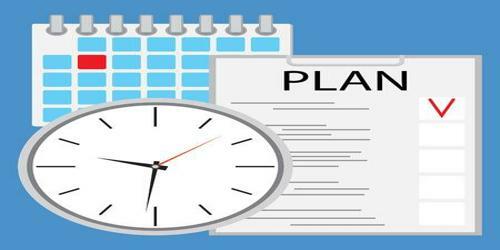 Planning agendas are available in various forms depending upon the kind of activity they are going to be used for as well as the items that need to be fulfilled by the company or organization. It is recommended that groups maintain an ongoing agenda collection list that anyone can add potential items to at any time. Then when the agenda planners sit down to work things out, they have a good base to start from. In addition, if a new topic surfaces during a meeting that isn’t on the agenda and the group doesn’t want to switch gears, you can add it to the list for a future meeting. A planning agenda would be defeated if it is not written immediately after plans are prepared to achieve certain objectives in an entity which could have numerous employees within their fold. Having a plan without an agenda would be similar to having an agenda with no plans in mind. Agendas of all types have a simple objective which is of keeping people that are going to participate in a particular event or activity to be prepared for the same. Opening. Introductions, check-ins, or whatever makes sense for your group. Ground Rules. A reminder of existing community agreements. Agenda Review & Approval. Now that you’ve put all this work into thinking ahead about the agenda, it’s time to see if the community is willing to go along. Short, Successful Item. Pick something that’s 15 minutes or less and that is likely to be easily agreed on. Break. Congratulate everyone on the hard work they just did and give them a chance to breathe and snack. Moderate Items. One or two medium-size items, in decreasing order of importance or complexity. Appointments. Time and date of the next meeting, or committee meetings. Evaluations. No one can improve their skills without feedback. Closing. The facilitator should officially mark the end of group time together. The planning agenda is written for all individuals that are expected to be participating in a particular process or event. Undoubtedly the planning agenda should be written by an individual who is employed by the organization or company in a secretarial position or by people who are in close proximity to the people that are planning the activity. Therefore the individual assigned with the task of writing the planning agenda must have some information about how such agendas are written along with the kind of plans that are proposed. Which Factors are Affecting Compensation System?